Download PDF of Workplace Charging Challenge Press Release here. Over 15 area employers commit to offering electric vehicle charging, giving more than 12,000 employees a chance to plug in – with a goal of 20 in 2015. Fort Collins, Colo.–Today, Drive Electric Northern Colorado (DENC), the U.S. Department of Energy, and Northern Colorado Clean Cities joined 16 Northern Colorado-based employers committed to offering electric vehicle (EV) charging at the workplace during the launch event for the Electric Vehicle Workplace Charging Challenge. The challenge calls on 20 area employers to offer workplace charging in 2015, establishing the region as an innovator in EV adoption and infrastructure. “EVs will play a critical role in reducing America’s dependence on oil, cutting harmful pollution, and saving consumer’s money by letting them skip the gas pump. Today, some of the most recognizable employers in our community are ‘plugging in’ to the Workplace Charging Challenge, giving more than 12,000 employees access to charging where they work,” said Ben Prochazka, Director of Strategic Initiatives at DENC. “Today is also a call to action for other employers to join the challenge and help the region hit 20 employers that offer charging in 2015,” continued Prochazka. Today’s Workplace Charging Challenge launch event was hosted by Fort Collins’s Spirae LLC, which is introducing charging access for its 39 Fort Collins based employees. The equipment will be partially powered by brand new solar panels to be installed at the business in the next few weeks, as part of Spirae’s overall plan to provide a net-zero-impact facility. “We hope that by providing charging to our employees, more will consider driving electric for their daily commute. We believe this commitment will encourage other employers in the region to do the same, making Northern Colorado a national leader in electrifying the workplace,” said Spirae COO Julie Zinn. Colorado State University also joined the launch today. One of the largest employers in the region with nearly 7,000 employees, the university redoubled its commitment to increasing EV adoption by joining the Challenge. CSU Parking and Transportation Services has already installed 10 chargers and has plans to install more across its campus. With 90 percent of vehicle charging happening either at home or at work, workplace charging remains an important step in increasing widespread EV adoption. Joining the challenge is a great opportunity for businesses and organizations to strengthen their marketing, sustainability platforms and offer a great employee benefit. “I am grateful to be part of a company that is committed to innovation and my EV commute. Every day, I can drive electric, plug in, and get to work,” said Doug Hatch, Nissan LEAF driver and employee at Hewlett Packard. HP was an early leader in electrifying the workplace and boasts more than 20 employees locally who have “gone electric” thanks to its efforts to make charging EVs at work easier. Apart from demonstrating critical leadership and innovation, businesses and organizations that offer charging to employees attract top-quality candidates and have shown higher retention rates. The city of Fort Collins also joined and will be giving city employees access to charging at the workplace. “By joining the challenge, Fort Collins hopes our employees and our incredible area businesses will consider going electric. By plugging in, we can help meet the city’s CO2 reduction goals, reduce our community’s dependence on oil, and save money,” said Karen Weitkunat, Mayor of Fort Collins. The launch event was followed by a workshop for area employers interested in learning more about workplace charging and how to join the challenge. Participating employers are also joining the nation-wide EV Workplace Charging Challenge led by the U.S. Department of Energy. To date, more than 175 employers across the country have committed to providing their employees with readily accessible EV charging. 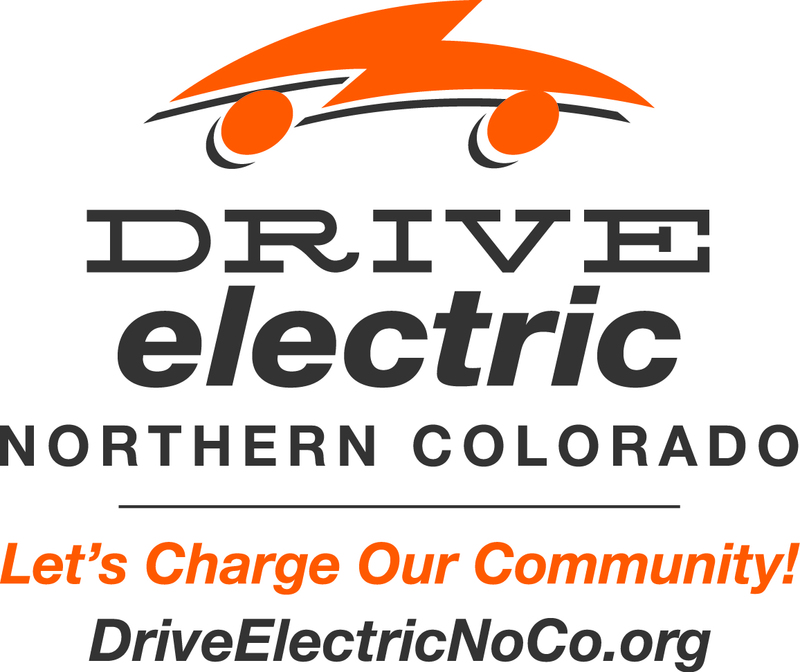 Drive Electric Northern Colorado (DENC) is a first-of-its-kind, community-wide initiative designed to achieve widespread deployment of plug-in electric vehicles (PEVs) in the Northern Colorado Region. By developing innovative public-private partnerships, a comprehensive electric vehicle ecosystem, and, most importantly, strong community participation and involvement, DENC promotes and supports widespread PEV ownership for individuals, families, businesses, and commercial vehicle fleets in Northern Colorado. The effort serves as a “living laboratory” and as a model to be implemented in other communities around the country.